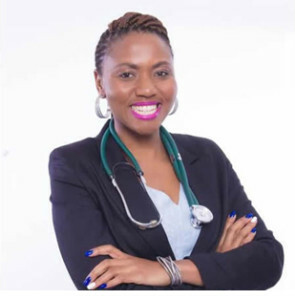 My name is Dr Lerato Masemola and I welcome you to Thari Health Excellence – a family medical practice that cares about your health, and more importantly, you. We see everyone from precious babies to wise and golden seniors. We are open seven days a week and are situated near a pharmacy for your convenience. Thari Health offers advanced medical aesthetic treatments: botulinum toxin injections, fillers, micro-needling, thread lifts, chemical peels and targeted therapies to treat acne, pigmentation, scarring and stretch marks. We also offer groundbreaking weight loss technologies and programmes. This includes the non-invasive fat burning procedure – BTL Vanquish ME, BTL Lymphastim to promote lymph drainage and detoxification and the widely successful Slender Wonder Medical Weight Loss Programme. Doctor’s discretion to be used in all consultations / treatments. Enjoy our latest gallery images. We have included a variety of images to showcase who we are. Do you have questions? Please feel free to browse through our FAQs. Sit back and enjoy clips and interviews discussing treatments, innovations and expert advice. Repeat prescriptions are given ONLY to patients known to the practice who have previously consulted with the dr as she needs to know what she is prescribing and for what condition. The cost of the script currently is R200. My name is Dr Lerato Masemola and I welcome your to Thari Health Excellence... Your family medical practice.More than caring about your health, also caring about you. Subscribe to our monthly newsletter to stay up to date with Thari Health Excellence.